It’s been over a year since I worked in the wine trade full time and it’s days like today when the sun is shining and I’m meal planning that I miss the wine chat. Let it be told that I’m far from teetotal, however being constantly immersed in the wine industry made me think differently about wine (and food). I always had wine on my mind. There was always wine to taste, someone to have a wine chat with and my dreams were wine filled. 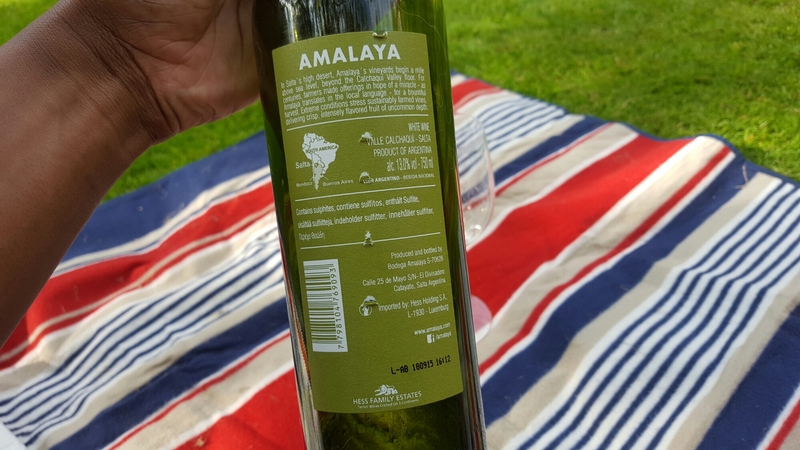 Even my holidays and trips abroad had a wine focus! 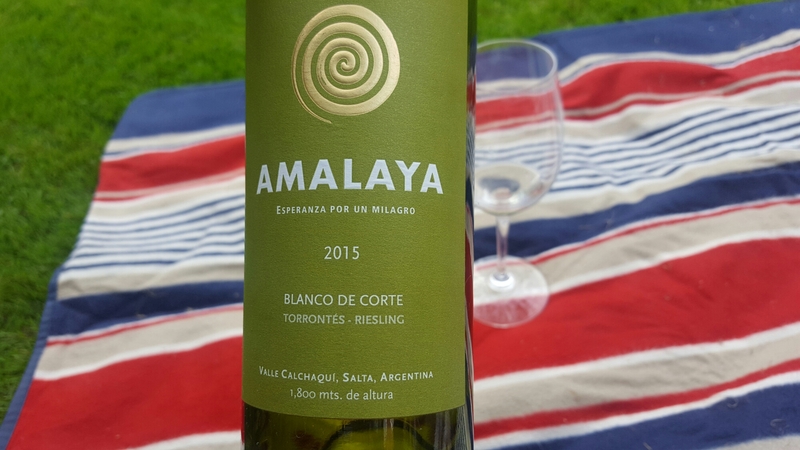 Today I’m tasting the 2015 vintage of Amalaya Blanco de Corte Torrontés Riesling. 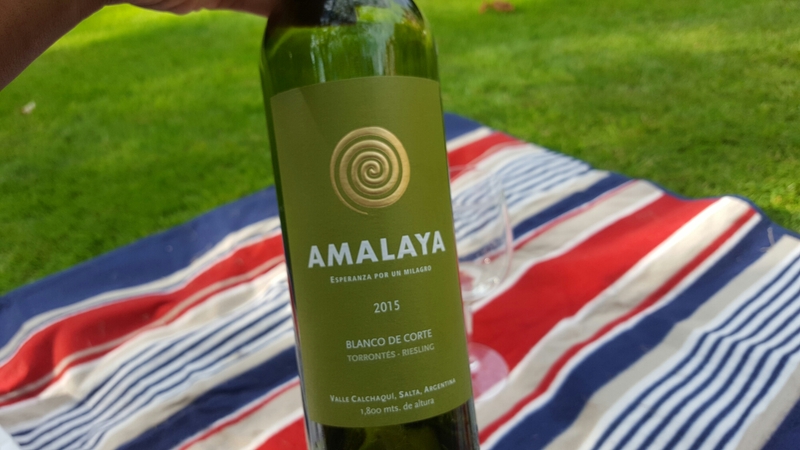 Made in the Valley Calchaqui, Salta, Argentina, this wine is very refreshing on what is set to be the hottest day of the year. Hurrah! I opened it yesterday and it really came into its own 24 hours later, although it was perfectly fine to begin with. On the nose the wine has an intense grapefruit and lemon peel scent, with a slight floral note. On sniffing I don’t really get any Riesling notes, and would fail on a blind tasting of scent alone to identify a proportion of Riesling. Upon tasting, lime stands out, along with grapefruit rind, peach, rose petals and a gentle bitterness. The wine carries medium body, and medium acidity not too overwhelming which is nice. I’ve had the 2013 vintage, and I must say the 2015 is better balanced. It’s nice to have a blend of my favourite German grape variety (maybe my favourite variety full stop), marry with Torrontes to create an aromatic wine, with good balance that is not overly sickly. As I’m sat in the garden writing this, I definitely have Summer on my mind. I’m also very pleased that we get a bit of Summer here “in the North”! 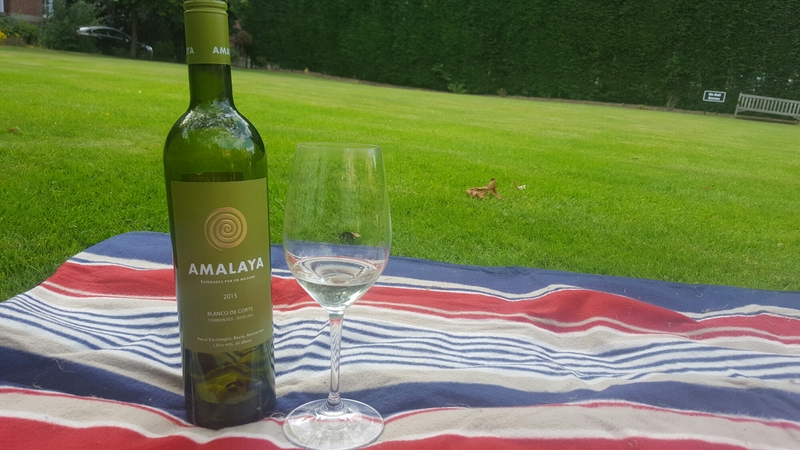 If I wasn’t feeling so lazy this fine Tuesday and If I could be bothered to head to the local supermarket, I would have Amalaya Torrontes Riesling with barbecued prawn skewers or chicken wings, definitely with a garlic and herb marinade, a baby leaf salad with a lemon and olive oil dressing and some fresh warm bread. For my veggie friends, chargrilled pepper, courgette and halloumi skewers. Now I’m hungry! 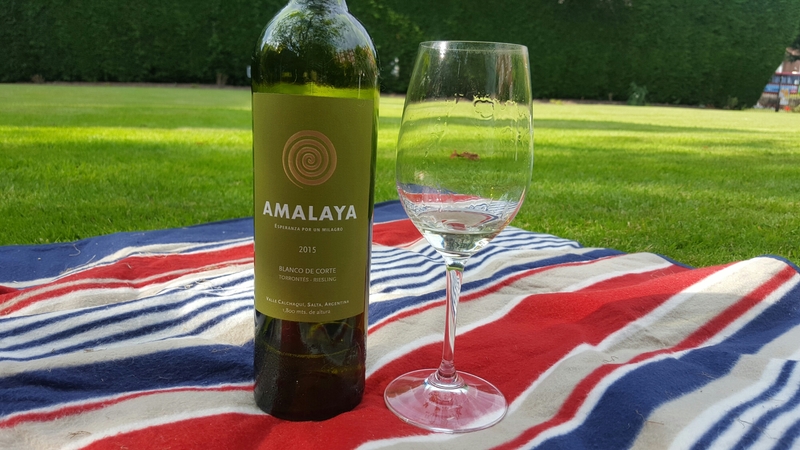 Amalaya directly translates in to hope for a miracle, in the now extinct Calchaquí language. Here’s hoping the sunshine lasts in the UK until September. Purchase from TheDrinkShop.com, it’s about £9 a bottle.